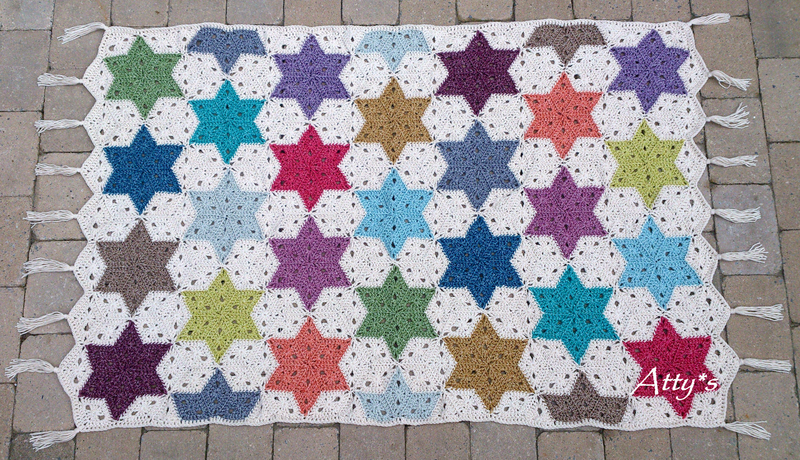 For this blanket 100x150cm I used 14 colored skeins of StonewashedXL by Scheepjeswol and 15 natural colored ones and hook size 5mm. 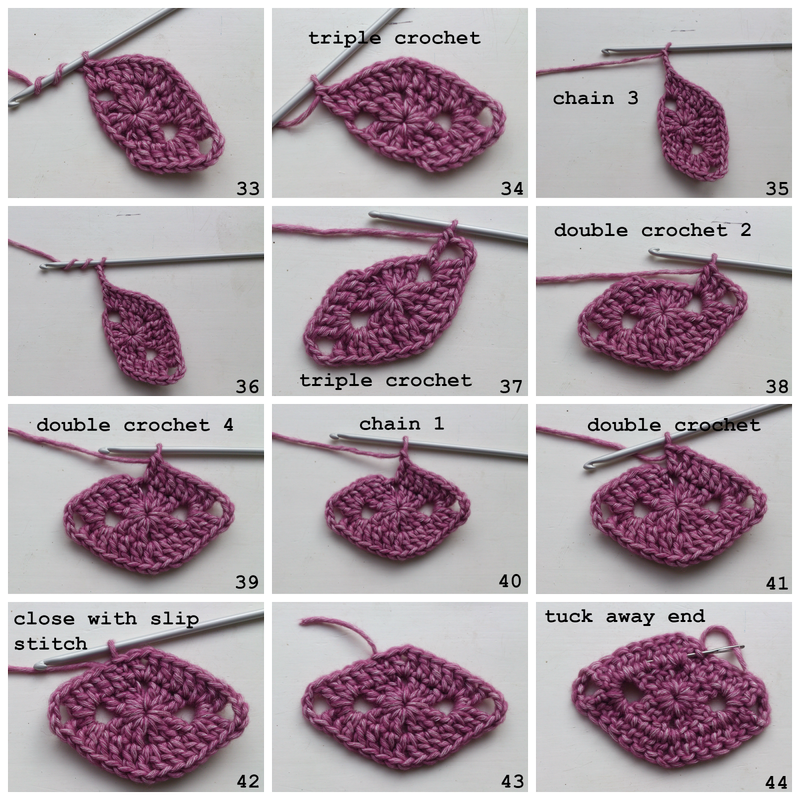 To be precise: 15x Moonstone 841 and 1 x : Smokey Quartz 842, Boulder Opal 844, Blue Apatite 845, Canada Jade 846, Red Jasper 847, Corundum Ruby 848, Yellow Jasper 849, Garnet 850, Deep Amethyst 851, Lemon Quartz 852, Amazonite 853, Crystal Quartz 854, Green Agate,855, Coral 856. 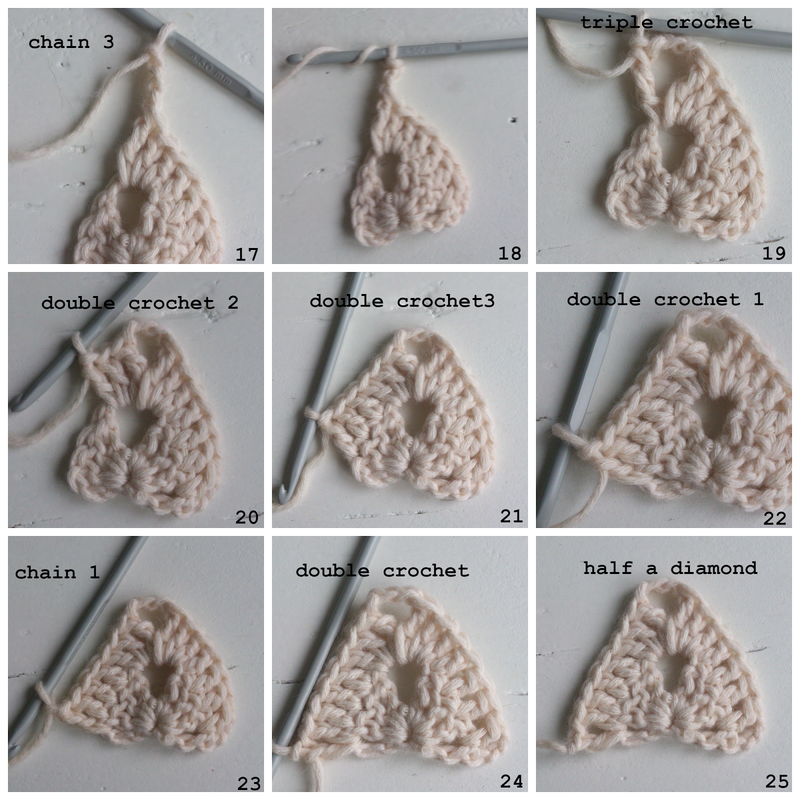 For the dutch version click here. 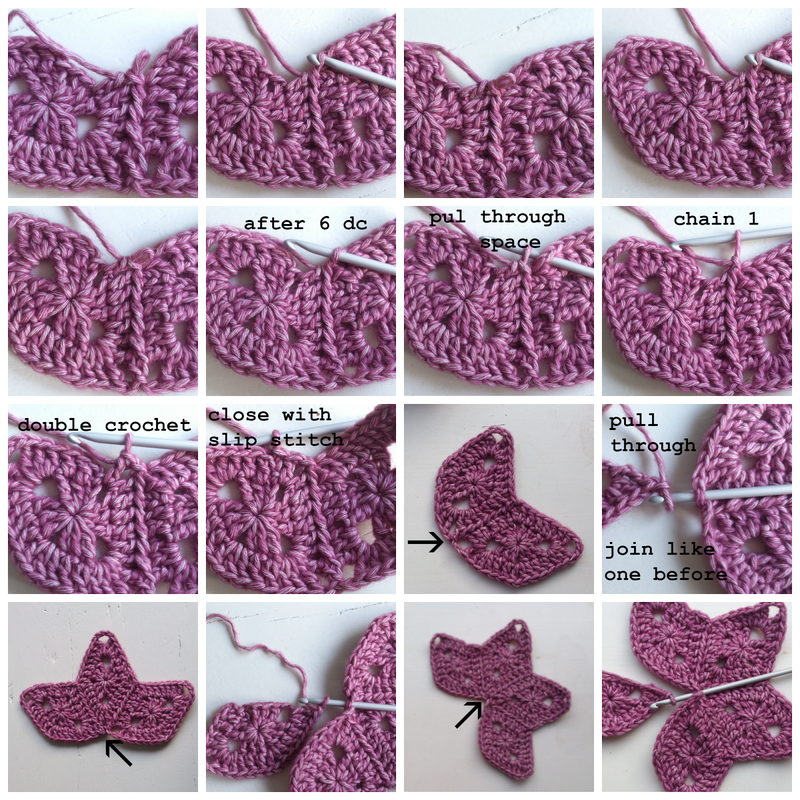 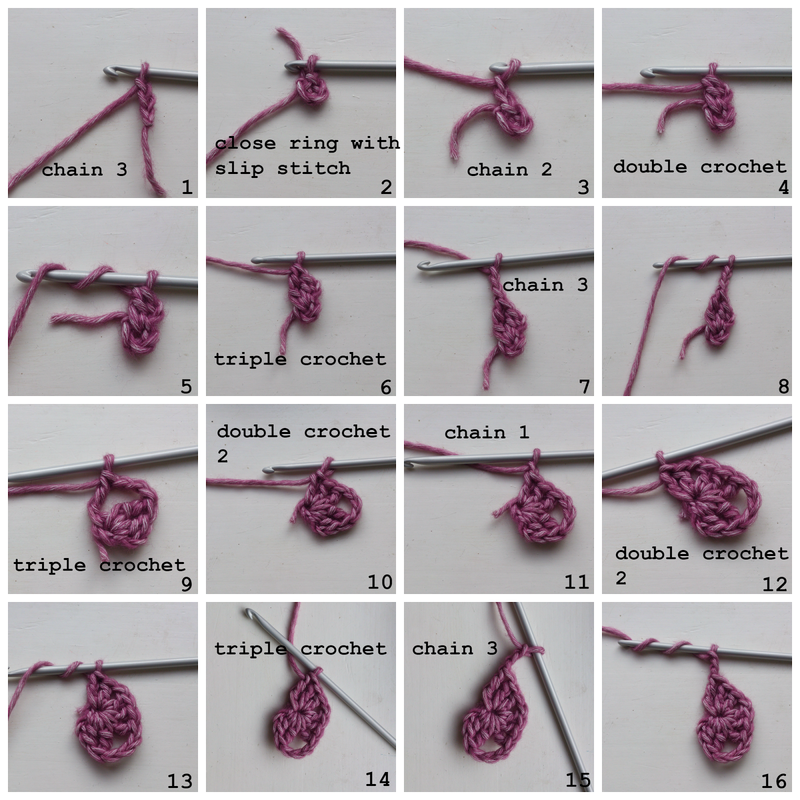 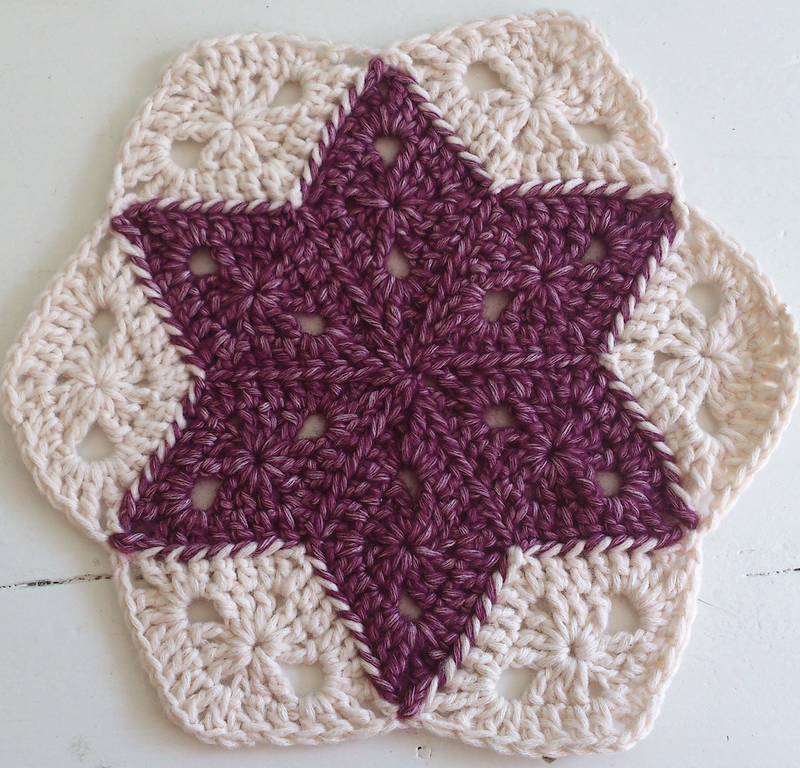 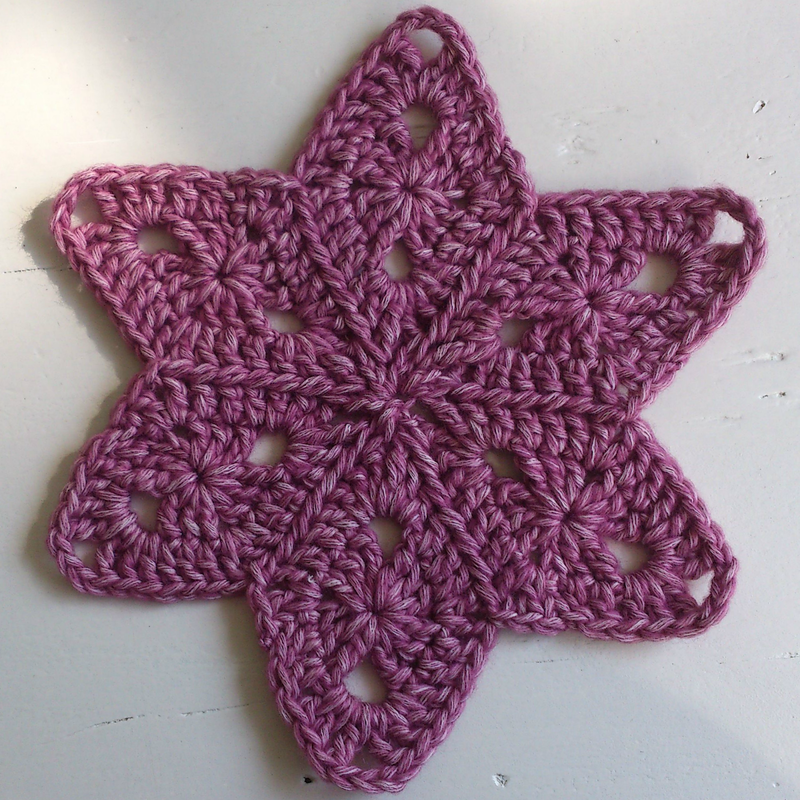 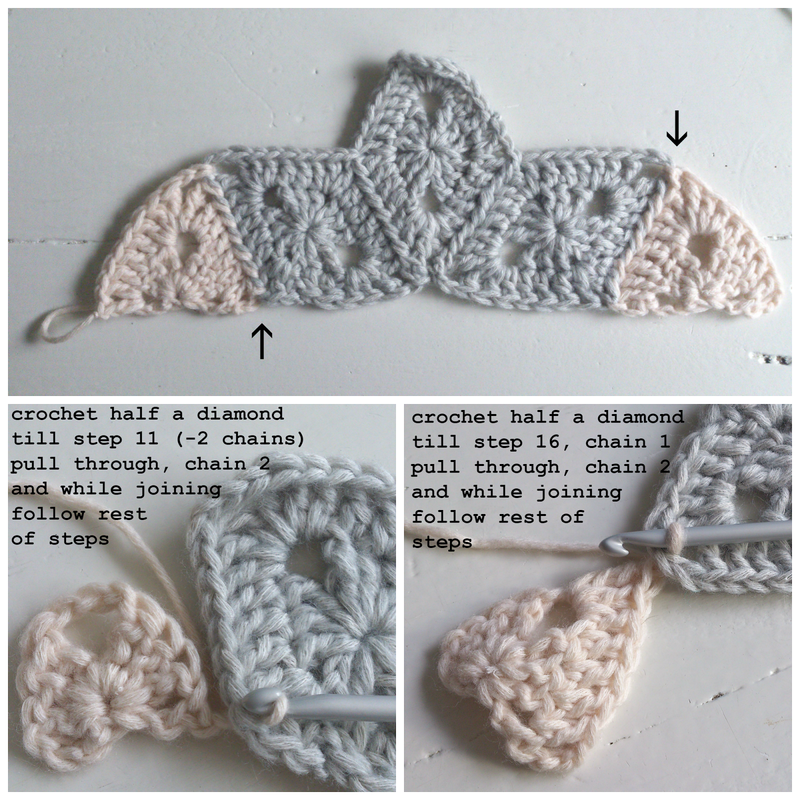 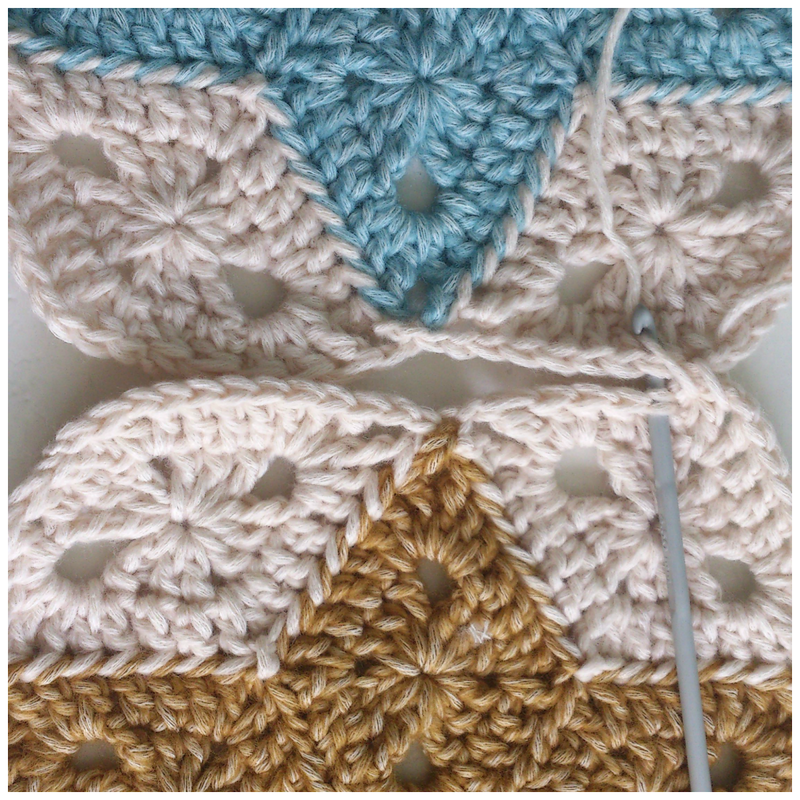 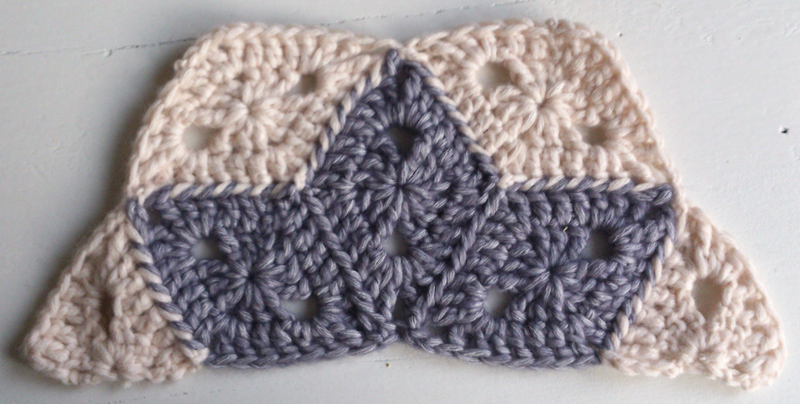 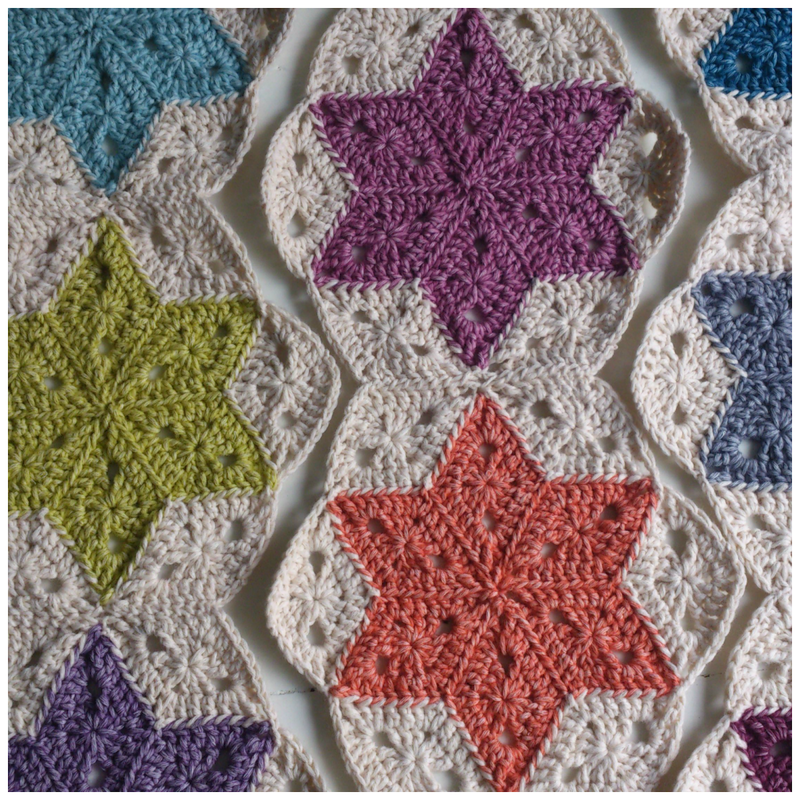 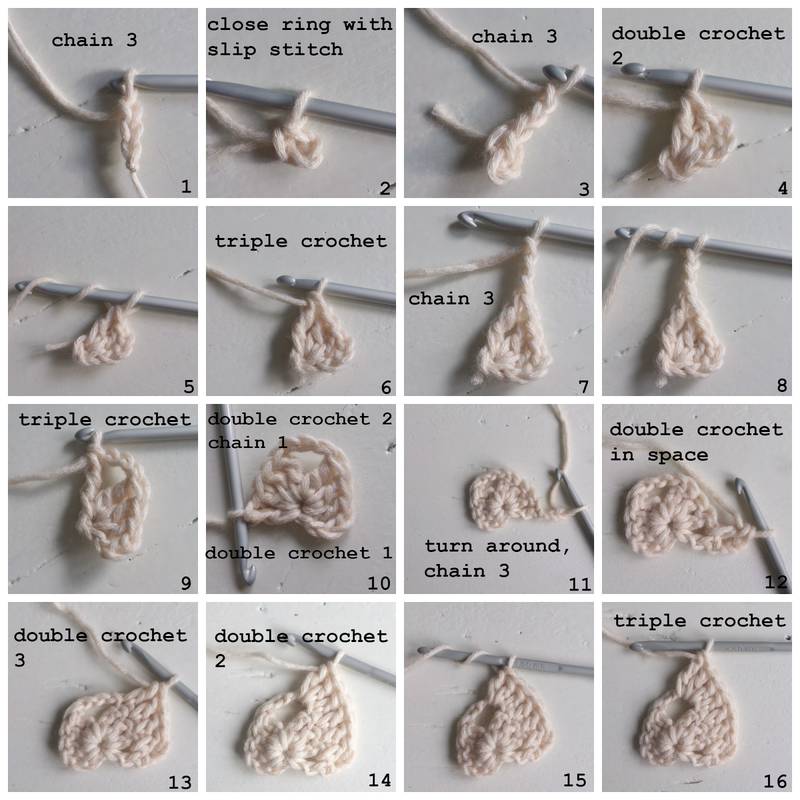 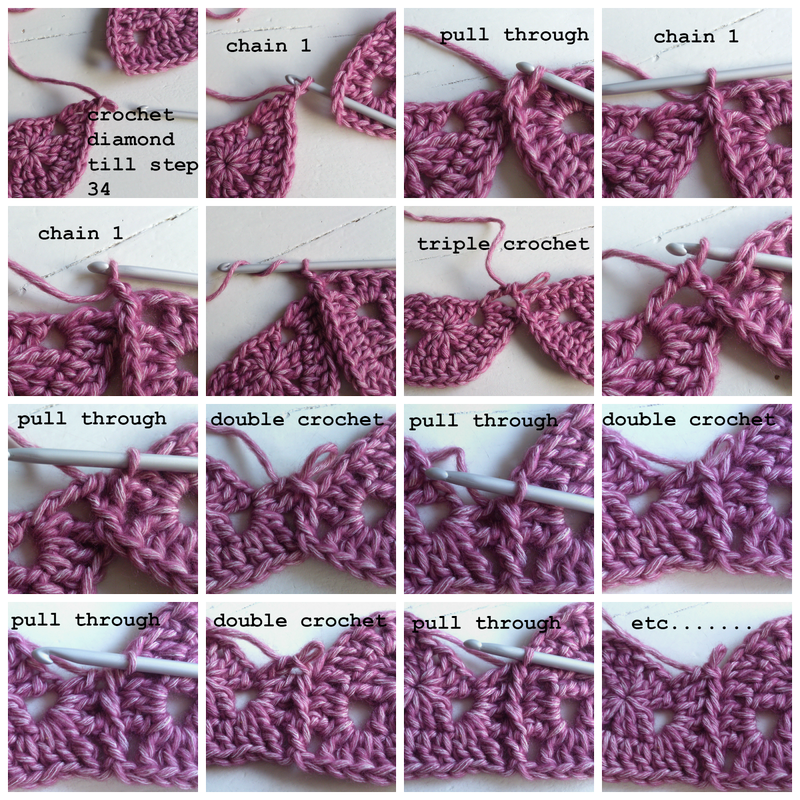 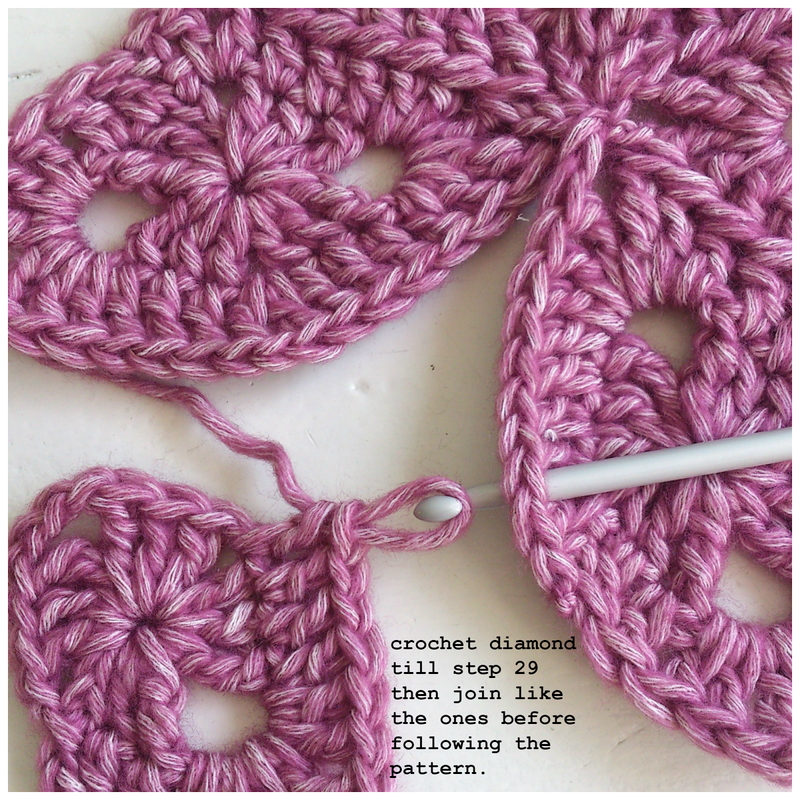 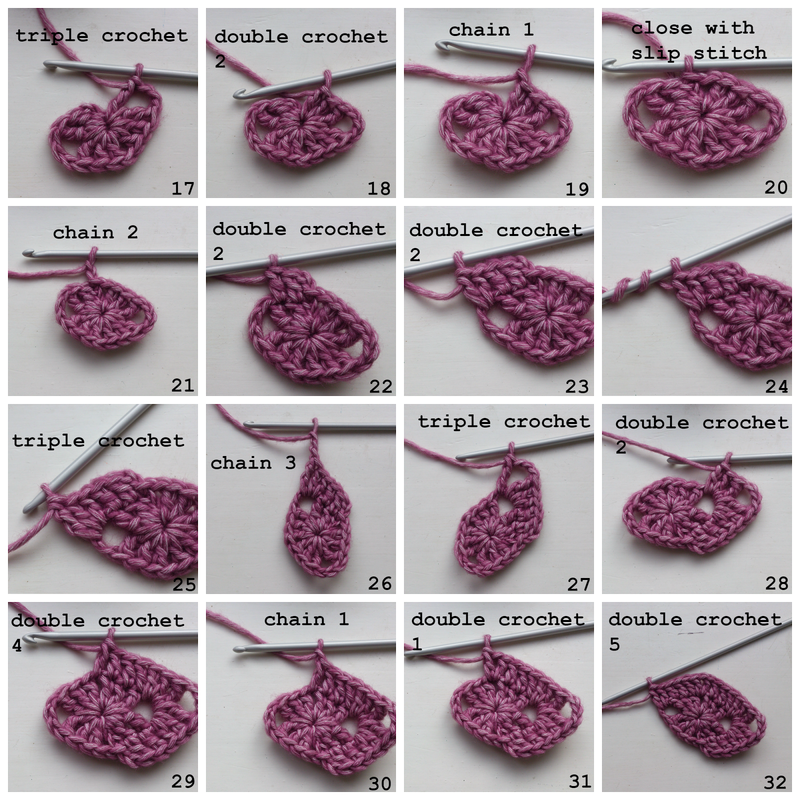 To crochet the natural colored diamond around the star, you have to crochet the diamond till step 25, chain one, pull through, chain 2 and then while joining follow rest of the steps. 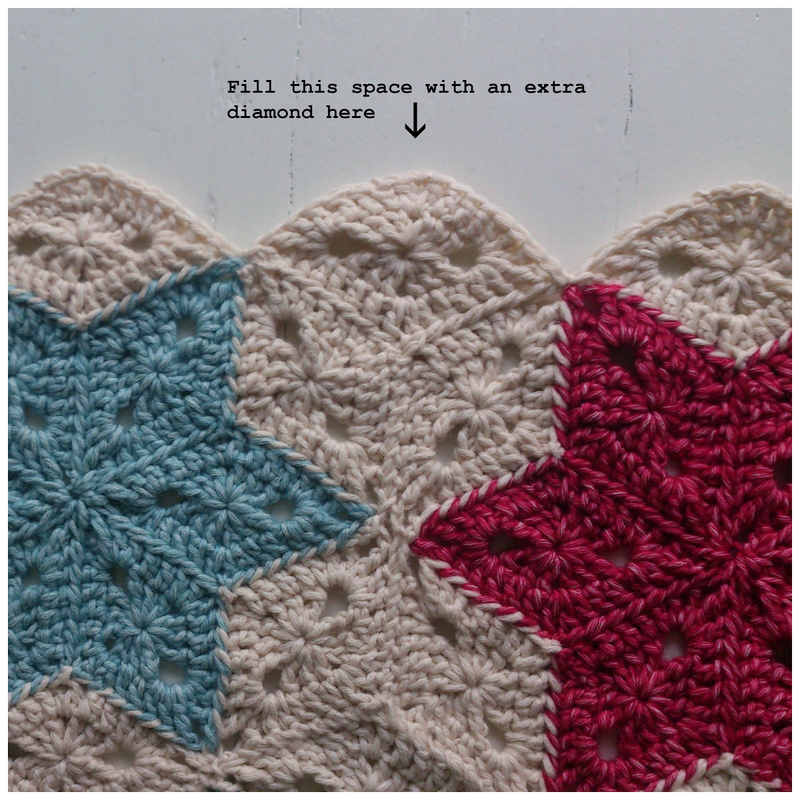 For the sides of the blanket I used half stars. 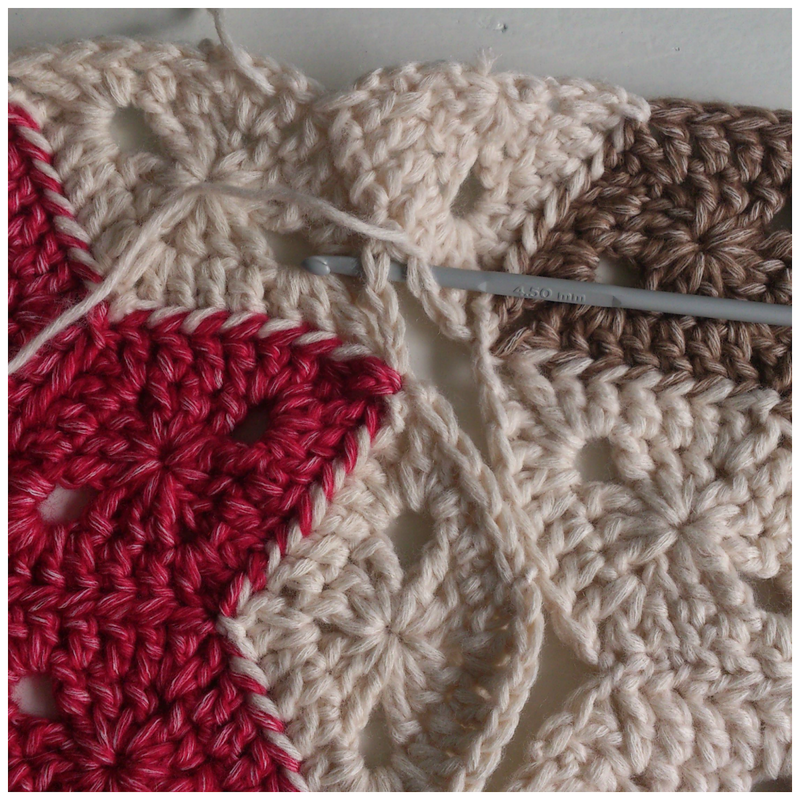 Now double crochet around the whole blanket en make tassels at the ends.